Finally the grieving has passed and I am strong enough to go on. We return to the roses once again. “Pick up the next one.” He instructs. I reach for it, but it is difficult for me to see. When it finally comes into focus, I am shocked. It is perfect! The beauty of this flower bewilders me. 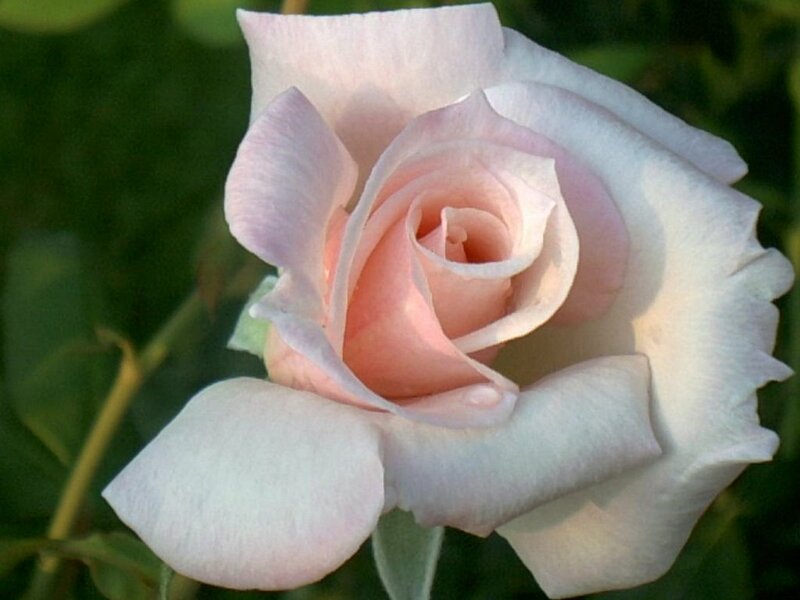 The petals are deep peach, delicate and porcelain perfect. The calyx finely formed and balanced, embraces the petals perfectly. The stem arcs gracefully and without thorns. I do not understand why this is among the others. Dread fills me. His rebuke is painful and unrelenting. There is no negotiating with it. His way is the only way in that place. I can walk away from it, I know, but that would mean turning my back on Him. And that is an even more dreadful thing that His rebuke. Still I feel a tremor building within me. “How have I disobeyed you, Papa?” My question is not challenge, but a voice to my confusion. He knows and does not hesitate to answer me. “This rose is your expectation that you must be perfect and with it your refusal to be honest and transparent, even with Me.” The sternness has not left His voice, although I know it is not my question that has brought His anger. It is now so very clear to me. It is entirely true. I have maintained an outward look of perfecting, having it all together. Truly I have not tried to create anything fake, but in carefully avoiding revealing too much of myself, my heart, I have created a shell that is not real, not approachable and worse still, not obedient. Gentle, even now, He takes my arm to lead me to the place of correction. I’d like to drag my feet, but cannot, my heart is so heavy knowing He is displeased in me, I do not want to displease Him further. As we approach the tree, I find I am on the verge of tears even not, not in anticipation, but in grief that I have disobeyed the one I long most to please. With a firm tenderness, He places my hands against the branch, knowing I will need its strength as my own fails. I hear myself cry out in the pain and truth of His words. “Papa, change me!” I cry. “Do not stop until my heart is changed!” sobs well up from deep within. “If you do not give up this disobedience it will cost you everything in the long run. All that you have heard Me promise will be destroyed in the wake of this sin. Once you learn to hide, it is only a matter of time before there is something to hide, and that will only grow.” His words are not a threat, but a foretelling of what is to come on this path. “All this is rooted in pride. It will lead you to cover more and more until your heart is hardened and trusting in your own ability to hide, not in Me.” Fresh sobs pour out from my heart at this. “I am not pleased.” The anger in His voice devastates me. “Crush the rose.” He commands, but I am slow to obey, the beauty is deceptive. “Crush it.” He says again. I dare not fail again. I drop it to the ground and step on it, crushing its beauty into the dirt. The sight makes me weak again, I cannot take my eyes from it. With His foot, He covers the remains of the rose with dirt, it is gone. Emptiness and the keen awareness of my own imperfection seize me. I curl in on myself in a fetal position to hide I think—I do not want anyone to see me now, even Him.